When I look at the people I admire such as Elder David A. Bednar and Sheri Dew I am continually amazed not only at their depth of testimony, but their incredible articulation they have in their ability to express their testimonies. It is a skill I wish to develop. We all have different talents, and our testimonies will grow in articulation in whatever medium we are best able to express ourselves. (Hint: This is one reason we are to cultivate our talents!) As the testimony of a musician grows their ability to articulate their testimony through the power of music will grow, as an artist strengthens their testimony their art will reflect that. Still others may bear their testimony best in ways that aren’t quite as quantifiable. Someone who has the gift of peace may best articulate their depth of testimony to others just by bringing others into their circle of comfort. The trick is finding what ways (plural, because I guarantee we are not limited to only one) we can express our testimonies and then do the work to cultivate our articulation through our personal talents of expression. So how do we cultivate our testimonies so we can articulate them? 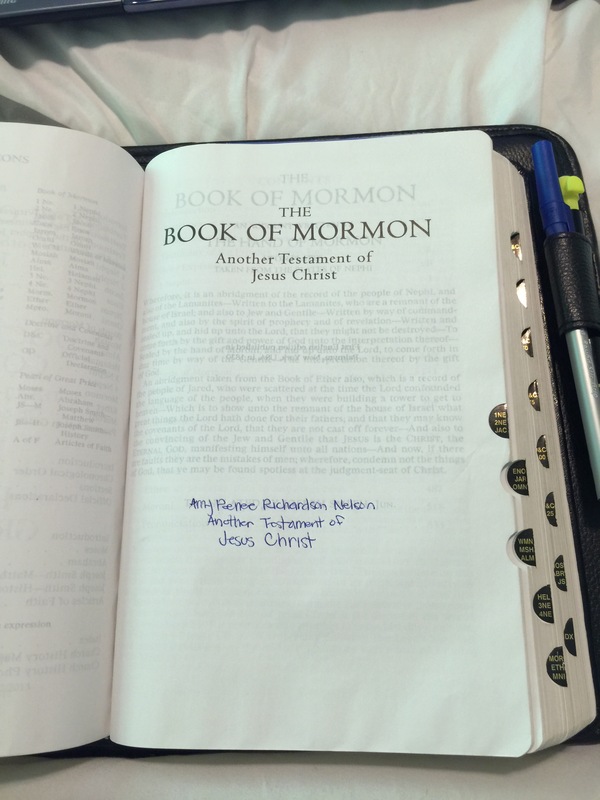 The scriptures are called “the words of life” (D&C 84:85), and nowhere is that more true than it is of the Book of Mormon. When you begin to hunger and thirst after those words, you will find life in greater and greater abundance. As we study the scriptures, specifically the Book of Mormon, we become more familiar in the language of our Heavenly Father. As we practice speaking in that pattern of language our abilities will grow until we become fluent in His language. Articulation of gospel principles comes from study of the gospel, not from talent in speaking or writing alone. I can testify of this in my own life. The more I truly study the words of God in the scriptures the more I am able to express my testimony, which for me is mostly through music and words. The more I understand the eternal definitions of the words in the scriptures the more I am able to use them appropriately, and therefore with articulation. I may not ever have the abilities to testify like Elder Jeffrey R. Holland, whose testimony seems to “speak with the trump of God, with a voice to shake the earth” (Alma 29:1), but that is no excuse for me not to grow in my own talents and testimony. I’ve mentioned before that I have a strong desire to live my life in such a way that it is another testament of Jesus Christ. To be a testator of Jesus Christ I have to live it not only in deed, but in word. I have to learn to articulate my testimony to the best of my mortal abilities, and then fulfill my duty to share it as far as my circle of influence reaches. Woohoo! Love it! I saw this pop up in my feed a few days ago but I held off until today because I was not feeling teachable earlier. I am so glad I waited because I was able to hear the words and they are beautiful. I, too, wish to be a testament of Jesus Christ. I am grateful you are here to inspire me to grow.